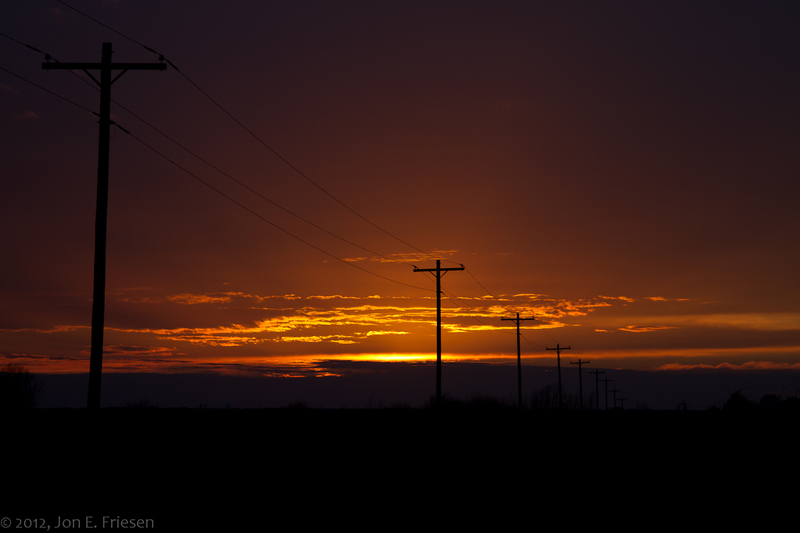 I suppose that many would ensure that the picture of a Kansas sunset was unadorned by the presence of power lines. However, I keep thinking about power lines and the impact that they have on this land called Kansas. Power brings an element of hospitality to those who live on these arid plains. Life without light, heat, cool, connectivity . . . was tough on our ancestors. These “trees” planted by Westar bring convenience and comfort that is dependable. As dependable as beautiful Kansas sunsets.